Our body is the only one we have, and despite all the advances in medical sciences, while we can change our bodies to a fair extent, we really cannot change bodies altogether, nor can we fully prevent aging, disease or other changes. Keeping our body healthy is a challenge for many of us. Add on top of it, expectations on fitness, attractiveness and other attributes to it, and it quickly becomes quite a major concern. For some, because of their body's shape, size, colour or other attributes and how they feel about these attributes in a society seemingly primed for a certain kind of youthful perfection, it becomes an even harder task. The approach to physical fitness and health often becomes a self-punishing task, instead of one of love and care and that leads to many issues, including emotional issues. On the other hand, one worries if it was really possible to achieve physical health in a positive and gentle manner. So, can one really be body-positive and achieve the physical results one might desire? What makes us NOT body positive? Think of young babies for an instance. They might be black, brown or whatever colour, of differing body shapes, sizes, have different hair textures, colours and volume, be fat, thin or anywhere in that spectrum - and yet, they all show a general happy curiosity and joy about their bodies. Sure, they will from time to time cry in frustration at not being to do something with their bodies, but it would be really hard to find an infant that is crying because it isn't a certain colour or a certain height. 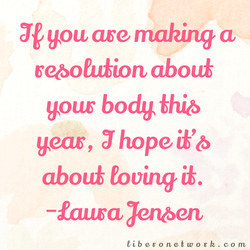 So, how do we then learn to let go of this natural positive view of our body? The answer is quite simple: From the society around us. We are constantly bombarded with very specific messages of physical fitness and attractiveness, and are shamed for not being that ideal, that we learn that shame, internalize it, work at reaching those ideals, punish our bodies for it and forget to be body positive. Yet, if we recognize this fact, we can unlearn it and get back to being body positive and to work at ourselves from a positive mindset. Are you Body Positive? Find out. Body shaming is quite literally anything that could make us feel bad about our body as it is: it could be weight, height, baldness, hair colour, complexion, acne, or a number of other factors that we may not have control over and/or may have no connection to our capabilities, strength, endurance or general health and fitness. Much of the market for fitness equipment, gyms, magazines and products work at some level by making you feel bad about yourself: 'lose those love handles,' or 'look younger,' or 'be smooth.' A certain kind of beauty and looks is shown as the ideal, and others by inference if not directly labelled, become something that is a cause for shame. Working on exercise and fitness with when holding one's body in shame is mentally exhausting. Fitness becomes a target instead of a lifestyle, and exercises are a chore - a means to an end, and instead of being a fun and engaging activity, become stressful. How can we get good physical health while being body-positive? Approaching fitness and physical health from being body positive starts ​with acceptance of our bodies as being imperfect and flawed in one way or another, and yet being able to love it and revel in it. It is a commitment to ourselves to treat our bodies with kindness and acceptance, and is a long-term approach, with roots in pleasurable movement and exercising, and a mindful diet that focuses on appropriate nutrition as well as in the pleasures of food and drink. It means adopting an attitude of enjoyment of your body as it is, and in the course of that enjoyment to seek further fitness, endurance, strength and any other attribute that we would like for ourselves. It also means seeing ourselves as lovable and being positive about our bodies right through the process and not just at reaching a mystical target. Working on physical health while being body-positive also prevents one from the yo-yo effect of hard diet and exercise swings, and also keeps the person generally less stressed and less anxious over their appearance. It becomes a life-style, and a pleasurable one at that. ​1. Accept your body as is, with all its flaws and imperfections. If you find yourself in any way blaming your body, or attacking your body, stop. Replace that with gentler and more positive visualizations of your body, including its flaws and imperfections. 2. Understand what activities are pleasurable for you, and what you might be doing that is damaging you. Create for yourself a program where you can enjoy these reasonably. 3. Develop your own goals: Endurance, stamina, strength, flexibility, or more simply, general fitness. Enjoy your current performance and any improvement. 5. Remember to balance your physical fitness goals with rest, recreation, and meaningful relationships. If you have felt body-shame, or find it hard to stay body-positive, seek help. In counselling, we help you talk through your challenges with your body and appearance, and can help you come back to improve your body positivity, and with it, work with you on a program that you want and can do.